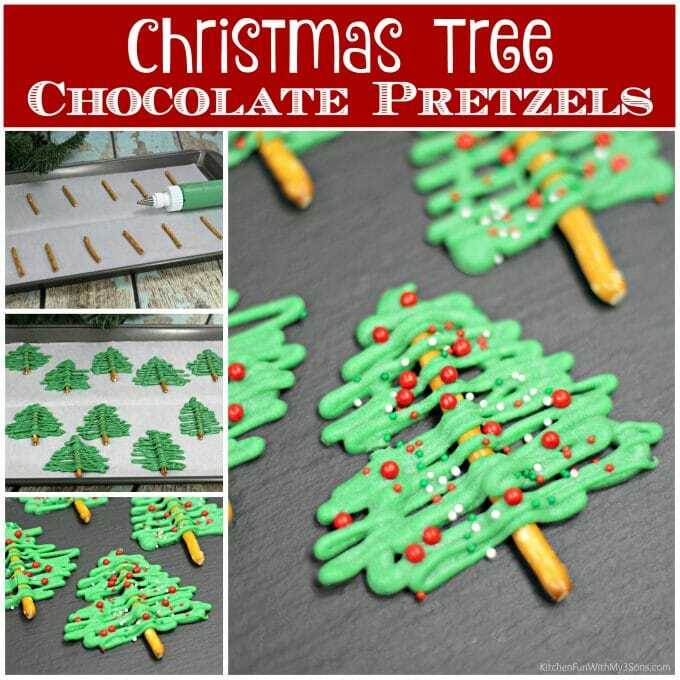 Chocolate Christmas Tree Pretzels are one of the easiest treats to make yet one of the most fun! 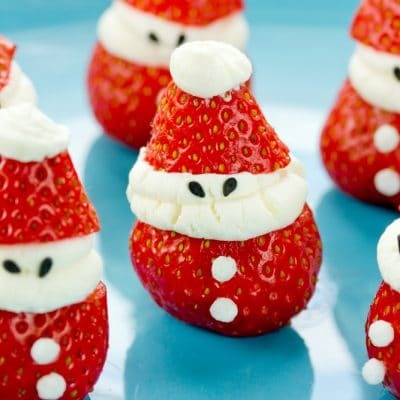 Kids especially love this holiday snack. 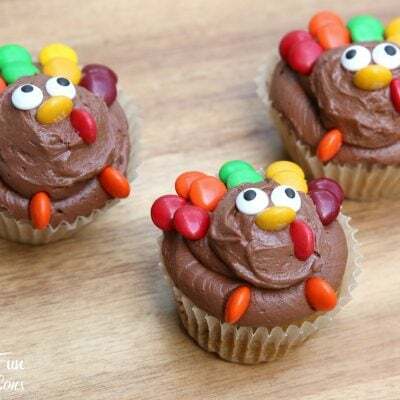 This recipe is a total hit for class parties at school! 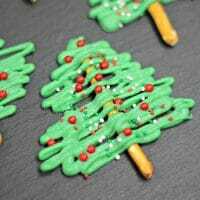 They go perfect with this Grinch Popcorn and these Peanut Butter Cup Christmas trees! 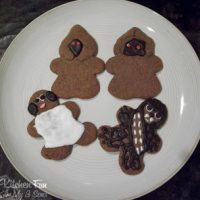 My kids love to show up to holiday parties with a handmade treat they were able to help create. 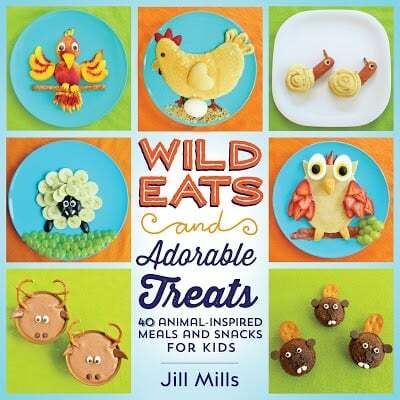 If your kids love to get in the kitchen and make holiday treats but aren’t quite old enough for baking, this is perfect. 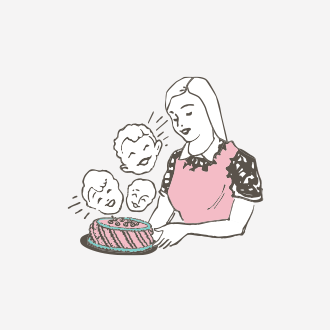 You can hand over all the ingredients and let them go free! No matter if they look beautiful or a total mess they taste exactly the same. You can let them “decorate” their tree however they’d like. 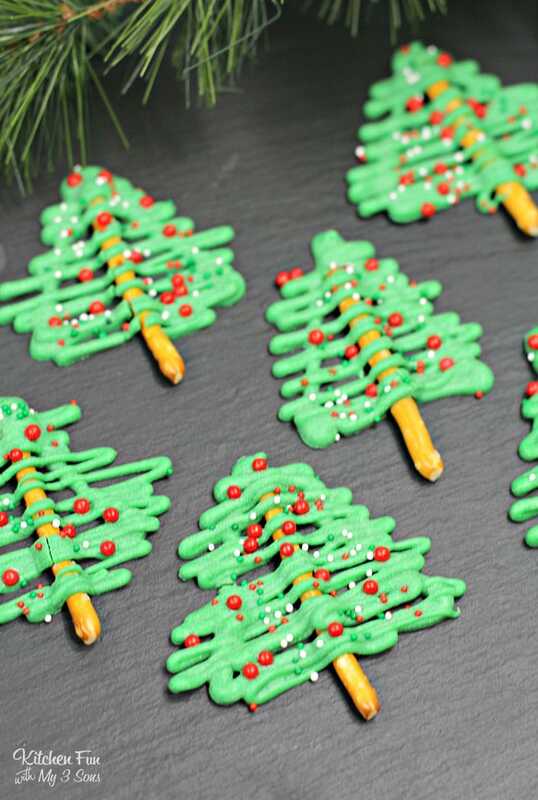 Sprinkles make the perfect mini edible ornaments. 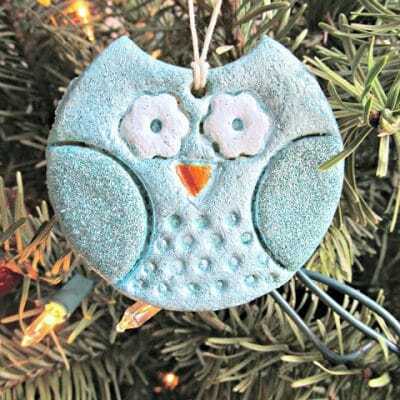 They can make a colorful tree, a gold tree, or a Hanukkah tree! 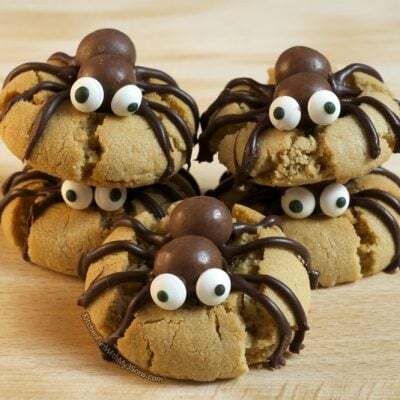 You can set them up for their treat making by melting the green candy melts with a double broiler or in the microwave for 10 second increments. Candy melts burn easy so you want to make sure you don’t cook them for too long. 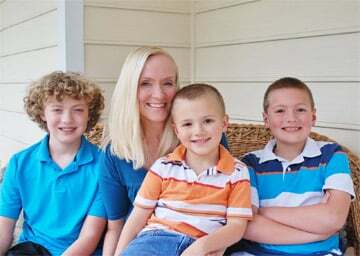 If they become chalky, toss them and start over. 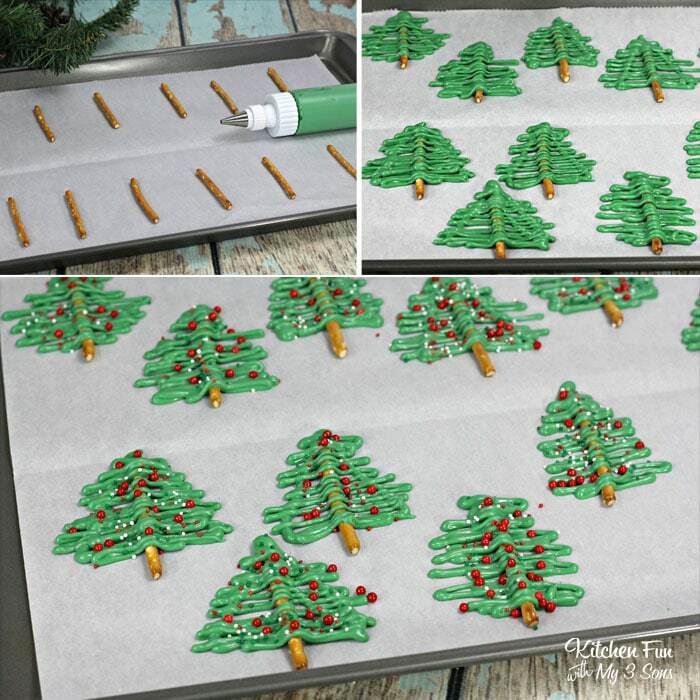 While you do that, the kids can lay out their pretzel sticks and choose their sprinkles. Quickly put the melted chocolate in a squeeze bottle and let them create. When they’re finished they can pop them in the fridge for a little bit to harden them. 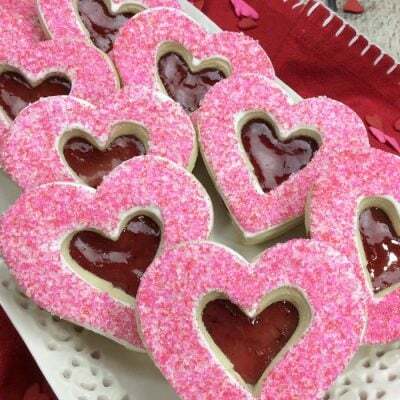 As a family we also like to make treats to take to our neighbors and coworkers. This would be a great addition! 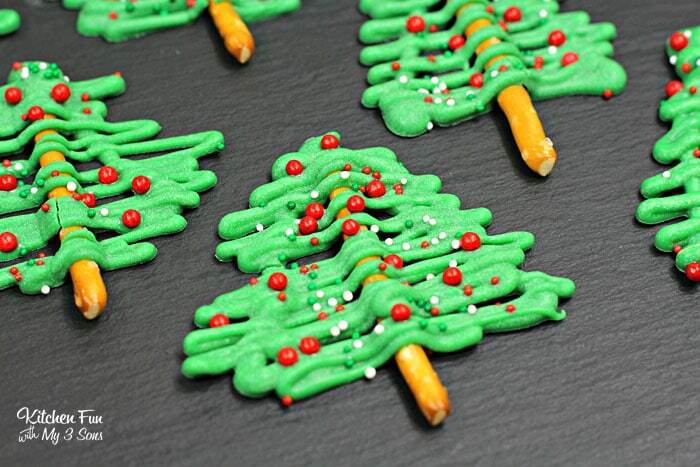 Tell me your favorite Christmas treat to make with your kids! Hi what can I use instead of coconut oil? 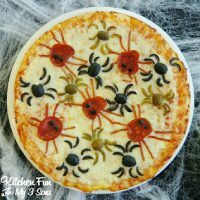 These seem super fun and I know the kiddos will love making them, but my son is allergic to coconut. melted butter will work fine as well.